Let's face it: 2008 was an exhausting roller-coaster. The highs were high (Obama! ), and the many lows kept dropping lower (war, unemployment, stock market crash, pollution, corruption, etc., etc.). Spending 12 months clinging white-knuckled to life's proverbial panic-handles takes a lot out of a person. Over the past year, I've developed a rather severe caffeine addiction, a nervous tic in my left eye, and a monstrous skepticism of placing my well-being and financial future into anyone else's hands. I said goodbye to '08 worn out and weary. But 2009 is a new year. We emerge from the experiences of 2008 a wiser, more mature nation. Yes, there will be tough times ahead, but 2008 has taught us that the old ways of conducting ourselves lead only to corruption, insecurity, and obesity. We can recreate this world. We can create healthier, independent, sustainable lives if we find (or create) alternatives to the corporate status quo. I've compiled a list of twelve books that I'll be using in 2009 to help me emerge from the coming year happier, healthier, and more independently sustainable — financially, environmentally, and emotionally. This is my list of Top Twelve Books for Surviving Tough Times in '09, in three groups: food security (the first 5 books), financial security (the middle 3 titles), and low-impact living (the final 4 books). Enjoy! This story of sunshine, weather patterns, old limitations and expectations, and new realities is delightfully innovative in the best gardening tradition. The Four-Season Harvest manual will have you feasting on fresh produce from your garden all through the winter. Learn how to transform your balconies and windowsills into productive vegetable gardens, your countertops and storage lockers into commercial-quality sprout and mushroom farms, and your outside nooks and crannies into whatever they can imagine, including sustainable nurseries for honeybees and chickens. Free space for the city gardener might be no more than a cramped patio, balcony, rooftop, windowsill, hanging rafter, dark cabinet, garage, or storage area, but no space is too small or too dark to raise food. Explore (or create) local food options for yourself. In this thoroughly revised and expanded edition of a Chelsea Green classic, authors Henderson and Van En provide new insight into making community supported agriculture not only a viable economic model, but the right choice for food lovers and farmers alike. Typical books about preserving garden produce nearly always assume that modern kitchen gardeners will boil or freeze their vegetables and fruits. Yet here is a book that goes back to the future — celebrating traditional but little-known French techniques for storing and preserving edibles in ways that maximize flavor and nutrition. Finding the Sweet Spot explains how sustainable, responsible, and joyful natural enterprises differ from most jobs, and it provides the framework for building your own natural enterprise. You’ll learn how to find partners who will help make your venture successful, how to do world-class market research, how to innovate, how to build resilience into your enterprise, and how to avoid the land mines that sink so many small businesses. Most importantly, you’ll learn how to find the “sweet spot” where your gifts, your passions, and your purpose intersect. Inquiries into the Nature of Slow Money investigates an essential new strategy for investing in local food systems, and introduces a group of fiduciary activists who are exploring what should come after industrial finance and industrial agriculture. Theirs is a vision for investing that puts soil fertility into return-on-investment calculations. As a wave of foreclosures sweeps the country, many people are giving up hope for owning a home of their own. They have good reason to turn their backs on the banks, but not on their dreams. In this revised edition of Mortgage Free!, Rob Roy offers a series of escape routes from enslavement to financial institutions, underscored by true stories of intrepid homeowners who have put their principles into action. When Technology Fails provides something for everyone, from parents who want to help their families when a disaster strikes, to the go-it-alone survivalist, to the eco-minded person who wishes to tread more lightly on the earth — whatever the future may hold. 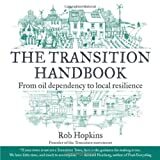 The Transition Handbook shows how the inevitable and profound changes ahead can have a positive outcome. These changes can lead to the rebirth of local communities that will grow more of their own food, generate their own power, and build their own houses using local materials. They can also encourage the development of local currencies to keep money in the local area. The Carbon-Free Home gives you the hands-on knowledge necessary to kick the fossil-fuel habit, with projects small and large listed by skill, time, cost, and energy saved. For every aspect of your life currently powered by fossil fuels, The Carbon-Free Home offers alternatives you can accomplish yourself to get started using renewable and sustainable sources of power. This book helps bring your site to life, reduce your cost of living, endow you with skills of self-reliance, and create living air conditioners of vegetation growing beauty, food, and wildlife habitat. Margo Baldwin, publisher and president of independent publishing company Chelsea Green, has worked for a quarter of a century not only to publish books about sustainable living, but also to run her business with the same strong environmental focus.